Enjoy up to 60% off PANDORA jewellery in the Rue La La sale! 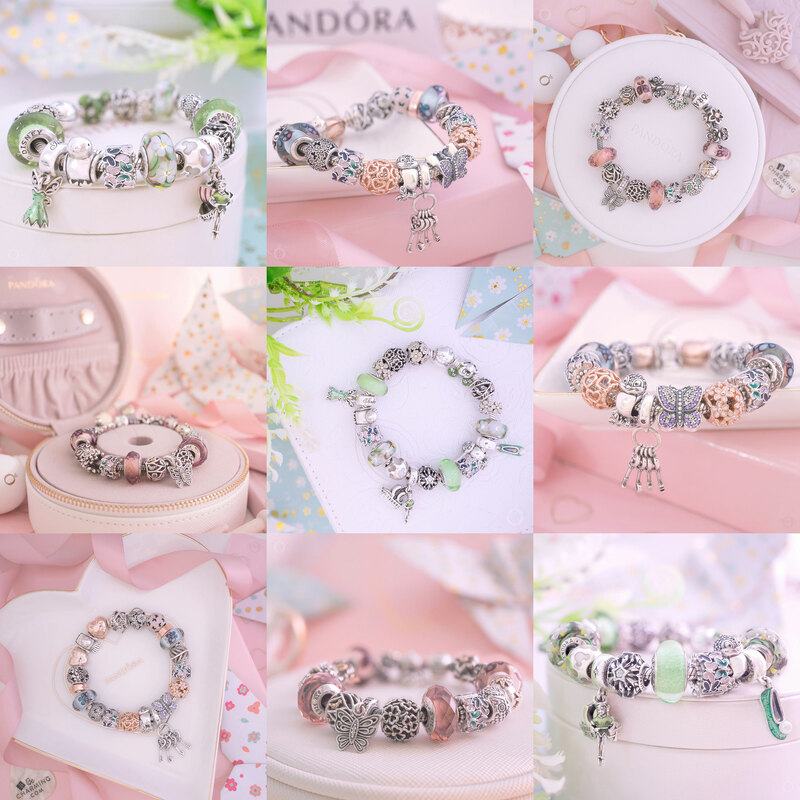 The new PANDORA sale on Rue La La starts today the 31st March and runs for the next 13 days. 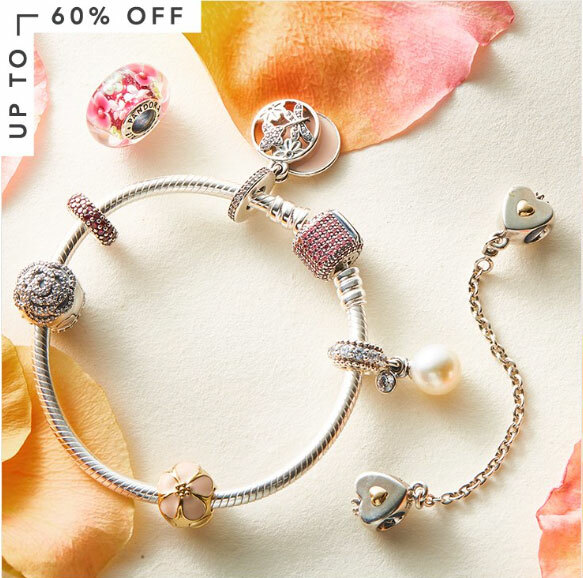 Save up to 60% off PANDORA jewellery with prices starting from just $11.99 USD. 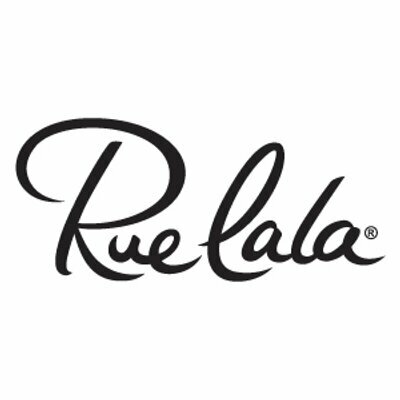 The Rue La La PANDORA sale includes some new styles and is a wonderful chance to purchase retired pieces. There are at east 10 pieces that I would like to get . Sadly it won’t delivery directly to The Netherlands..A lot of them are not available anymore here..
You can try using a mail forwarding company like MyUS.com. They provide a US shipping address for you then once your package arrives they forward it to your home address in the Netherlands. Thanks for the suggestion..!! You definitely make my heart beat faster.. It’s very tempting, however I would be worried about any defects (missing stones ect.) I cannot easily send it back for warranty..and the duties and taxes are pretty steep. Have a good weekend too..!! The Mint Glitter is gorgeous and one of my favourite Muranos. It is a pretty shade which works with lots of other colours. I have the pink one as well and I love wearing it with PANDORA Rose charms. Thanks for sharing your thoughts and have a great day! I got the fairytale fish (!! ), the tropical Seahorse, a star sign for my daughter’s bracelet, and the earring barrels. Yay! I couldn’t believe it when I saw the Fairytale Fish included in the sale. You will love it! The Tropical Seahorse is also really gorgeous and great for Summer theme bracelets. Thanks for commenting and have a wonderful weekend!